The Outlook search issue in question was reported to occur within a Citrix Virtual Apps and Desktops environment. Within this environment we have one desktop published, running Windows Server 2016 as the OS. This desktop can be accessed by multiple users simultaneously, and respectively can carry out their workload in their unique session on the same desktop resource. 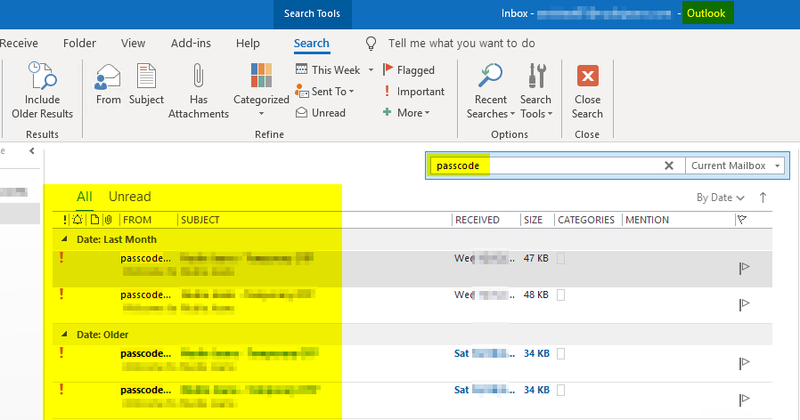 As for how the issue acted, the search function within Outlook would simply not operate whatsoever. Regardless of any search attempt, no results would yield according to the desired query and instead we were met with an error message detailed below. Within Safe Mode however, using the same search query would reveal the desired results. Considering that the latter error message mentioned Instant Search, I verified that the service responsible for Windows’s own search engine was indeed running on the affected desktop. With this established, I began to naturally suspect that the Windows index database could be acting up somehow. I therefore initiated a rebuild of the whole index database via Indexing Options on the concerned desktop, unfortunately to no avail with the same symptoms still present. A few days after this issue was initially reported, I ultimately came across a newly published Microsoft article touching upon this particular subject. Within this, Microsoft declared that the KB4467684 update released on the November 27th 2018 may generate this perplexing Outlook search engine issue. The solution? 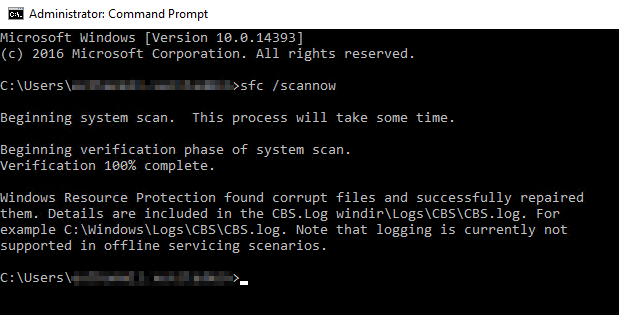 Simply open an elevated command prompt on the affected desktop and run “sfc /scannow”. Lo and behold, this obscure remedy did in fact resolve the search ability within Outlook in the end. At the time of writing, Microsoft are still investigating the root cause behind this issue and advocates “sfc /scannow” as the official workaround for now.